The Ventilation/Perfusion Scan is a special radiology test which measures and compares the amount of blood flow (perfusion) and air flow (ventilation) to each lung. The Ventrilation Scan and Perfusion scan are actually two different tests which may be performed separately or together. The perfusion scan is to determine the proportion of blood flow to each lung. This is particularly important in children with narrowing of the pulmonary arteries and if surgery or an interventional repair is being considered. 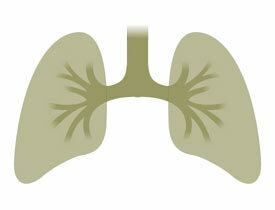 The ventilation scan determines whether the breathing components of the lung function normally. Many children with heart defects can have associated lung abnormalities.